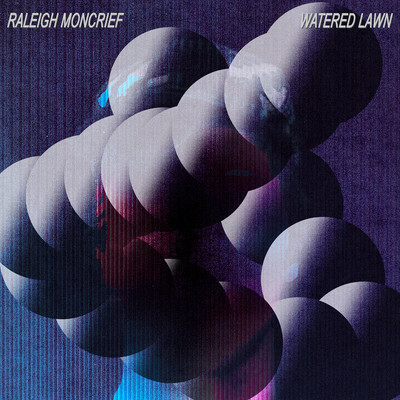 Tapes on the Floor: On the Radar: Raleigh Moncrief "Watered Lawn"
On the Radar: Raleigh Moncrief "Watered Lawn"
Perhaps you haven't heard of Raleigh Moncrief before, but you've almost certainly heard some of his work. Moncrief was a producer on the Dirty Projector's Bitte Orca and is a frequent collaborator of Hella's Zach Hill, contributing to his sprawling inaugural solo release Astrological Straights. More recently, he's been on the road with Marnie Stern as her touring guitarist. His recent full-length debut for Anticon solidifies Moncrief as an artist in his own right, allbeit not in the genre you might expect. Watered Lawn is a beat-driven dose of emotionally charged atmosphere, tenderly blurring the line between electronic indulgence and carefully constructed acoustic experimentation. Not one to hide himself behind instrumental walls, Moncrief anchors his compositions with his plaintive voice, oftentimes evoking the work of Anticon labelmate and fellow Californian beat-musician Baths. In fact, the sparse synths and clicking rhythms of "I Just Saw" and "Waiting For My Brothers Here" could almost be mistaken for Baths tunes, acknowledged by Will Weisenfeld's recent cover of the former track. Elsewhere, the glitchy cadence and modulated vocals present on "In This Grass" bring to mind the audio collages of Mount Kimbie. However, it's a song entitled "Lament For Morning"that solidifies itself as one of the record's most memorable moments, employing a cascading vocal sample that provides the measured counterpart to a 16-bit melody. Watered Lawn is a heady mix of aural explorations amid beat-scene trappings, all with a tangible sense of honesty that grounds it firmly in reality.